It’s our nature to thrive. One of the key aspects of the Port’s mission is to stimulate economic development within the Camas-Washougal area. One way this is accomplished is by providing local businesses a location to grow and thrive. The Port maintains property throughout the area for various industries, which aid in the continued success of the community. The Port’s industrial park is very diverse and always looking to expand to fit the needs of the community. Bolton Minister owner of 54-40 Brewing Co. was raised in Brush Prairie, Washington. Bolt has a background in the brewing industry spending 10 years with a company based out of Portland before opening 54-40. Bolt is married to Amy and has two boys Fletcher (4) and Quinn (Newborn). Bolt has really brought this family oriented vibe to Washougal by offering a changing table in both the men’s and women’s restroom and diapers just in case your forgot yours! 54-40 has toys to play with, chocolate milk and apple sauce for the kiddos while the parents enjoy a cold beer. Not only is 54-40 family oriented with great touches of family history inside, it is warm and cozy with a fire for the cold season, as well as, light and airy with open garage doors and a patio for the warmer seasons! 54-40 has been a tenant of the Port since 2015. The name 54-40 was inspired by historical “54-40 or fight” as well as, the logo have historical signicance being a quilt patch representing the women’s movement around 54-40 or fight. (look up history on this). 54-40 has used this territories rich history because this is where Bolt hopes to expand his business. Currently 54-40 is selling in parts of Washington up through Puget Sound, Oregon and soon Idaho. In the near future, Bolt hopes to be expanding to MT and even Vancouver, BC. 54-40 recently broke into Costco at 192nd as well as Padden Parkway Costo. 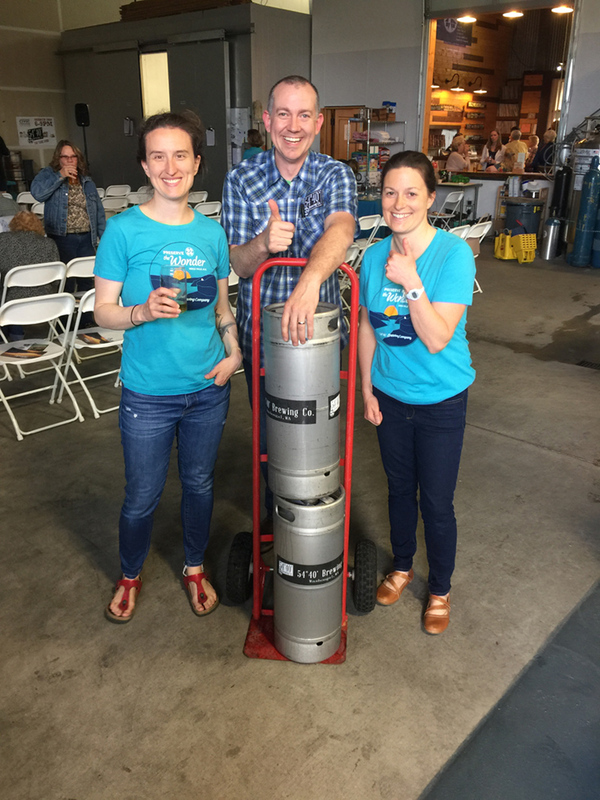 This was a very exciting Endeavour, pick up your case of Cascadia (Kolsch) today! 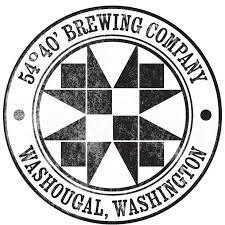 54-40 adds a unique local touch by using mostly malts and barleys that are right out of our backyard in NW grown regions (aside from one traditional German malt used in his famous Cascadia Kolsh- Sold at Costco). He also uses unfiltered Washington water that helps create his delicious beers. 54-40 decreases their waste by donating all of the spelt grain to a local farm called Windy Ridge. This spelt grain is then used as feed for the cattle and horses.